The largest global competition in food, agtech, and agriculture is back! 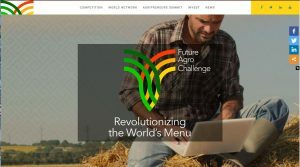 Future Agro Challenge (FAC) is the leading global competition that discovers innovative fundable food, agtech, and agriculture ventures addressing national, regional, and global challenges, from farm to fork. Over the past four years, FAC has organized a national competition in over 60 countries across 5 continents. This year, Startup Tablelands is proudly bringing back Future Agro Challenge to Australia for the third time. Applications close on October 26th 2018. Winners of each national competition will win return air ticket and accommodation to the FAC Global Championship, Greece in May 2019 to gain access to world-class mentors, investors, potential clients, and new market opportunities.